Designers employ a large variety of creative frameworks, tools and methods in order to understand all forms of social phenomenon. In this course, we will explore, learn, and develop a variety of tools and frameworks to use in conducting innovative forms of design research. Students will focus on deploying, evolving and designing new and experimental research methods for doing research for design, investigating human behavior across space (in both physical and digital environments) and time (carrying out temporal and process based studies), and research by design, where they will explore methods in sensory ethnography, narrative form, idea generation, and making physical prototypes and provotypes. By the end of the course students will have grown an understanding of how methods from a number of disciplinary domains such as visual and cognitive anthropology, media studies, psychology, philosophy, and cybernetics can be used to inform different kinds of design research and practice, from speculative and critical design to participatory design, as well as developing the skills and experience necessary to innovate with, and deploy, those methods. 4. Collect data and be able to quickly extract and synthesize key findings and insights for the benefit of your team. This outlines the syllabus for the next 15 weeks of the semester. Any readings or any other reference material will be linked to here ahead of class. 08.28. 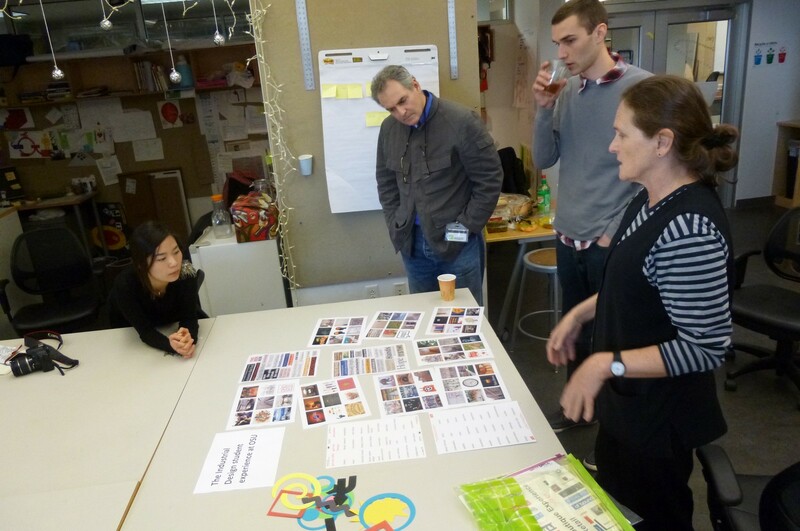 Introductions, Syllabus Discussion, Overview: What does research mean in design and what is it good for? 08.30. 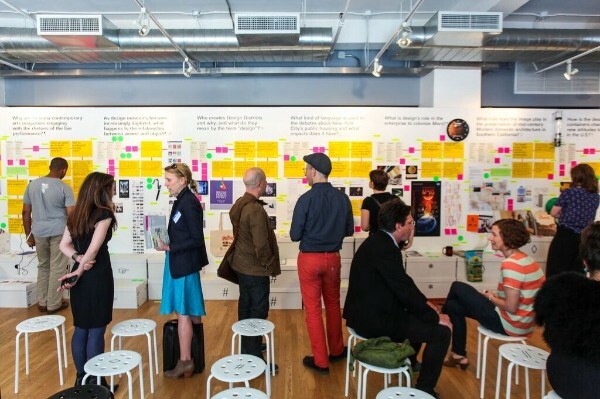 Research by, for and of design; methods to explore, generate and evaluate; different methods for different approaches: user-centered, participatory, speculative\critical, and ontological design. 11.06. The problem of other minds, in psychology and AI, and how it relates to design. Setting brief for this module’s assignment. 11.13. Imaginaries, metaphors, mental imagery, and design. 11.15. Mini-workshop: Mental Landscapes. Using landscapes toolkit developed by Delanie Ricketts and Dan Lockton. 11.20. Knots and second-order thinking. Set New Knots mini-project. You have two assignments for the semester, and will be given a brief for each giving details and assessment criteria. Each assignment makes for 30% of your overall grade. For mid-semester, you will be given a preliminary grade subject to your the instructor’s assessment of your individual performance and peer review for the first half of semester. The first few weeks involve becoming familiar with utilizing a whole range of methods, tools and techniques to study a subject area. For this project, you may choose one of the following subject populations to study, with the aim of understanding their everyday lived experience so you can design better for them. Each week, you will run a new set of methods with your chosen subjects in order to understand them better, what their problems, needs and wants are, and share your insights with your fellow teams. The subject populations are: 1) pre-adolescent children, 2) the elderly, 3) the devout, 4) artists, poets and musicians. Doing UX research for emerging technologies is different from more well established, mature technologies — where for well worn products, the goal is to iterate and improve, research in the emerging tech sector is geared towards scoping and finding potential users, understanding their goals, motivations, values, behaviors and attitudes, involving them in the research project to produce ideas, and then testing prototypes with them to evaluate your ideas. Your group may choose one of the following emerging technologies to work with: 1) self-driving cars, 2) smart homes, 3) virtual reality devices, 4) personal robots. Your assignment over the whole of this module, set in week 11, will comprise developing, trying out, and documenting your own method for investigating how ‘others’ (people or machines) think, using a ‘design as enquiry’ methodology. We will also do a mini-project over Thanksgiving break, specifically looking at R.D. Laing’s concept of ‘knots’, and how they relate to design and technology. 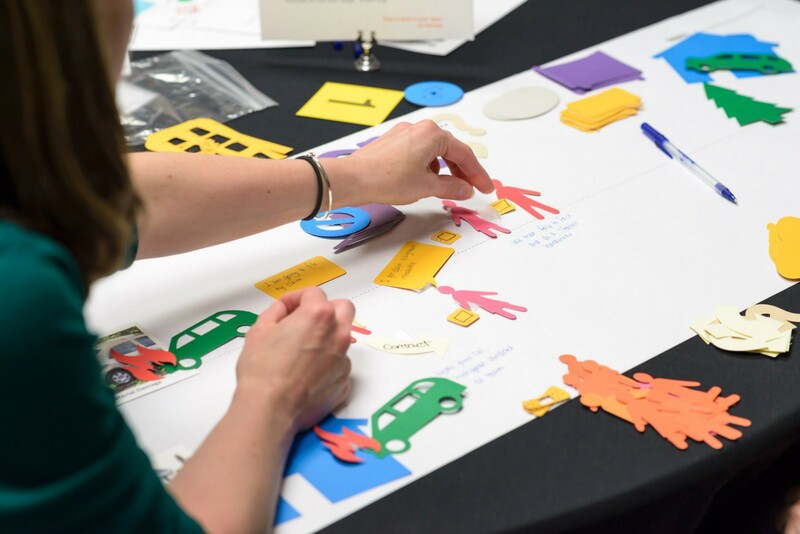 Building a sharp, critical design thinking ability requires you to articulate and discuss the various themes and issues we will cover in class, and to offer constructive criticism of design both in class and everyday life. Additionally, a large part of the course involves developing the ability to evaluate your and others’ work. Critiques should help you to verbalize your thoughts, learn new vocabulary, and develop the ability to accept and work with criticism. You are expected to make good and efficient use of class time on work days — no multitasking please! Please silence cell phones and other mobile devices. Respect the time we have in the class. You are expected to be on-time to class given the broad ground we hope to cover in the semester. Attendance is mandatory and will be documented with a roll call. It is your responsibility to respond to roll call, if you do not, your attendance will be counted as an absence. Two absences without prior notification and good reason will result in the loss of a full letter grade. Absences for which you have a documented and signed medical, religious, or approved university excuse (e.g., athletic) will not be counted toward a total of missed classes, but if you need to miss class for these reasons, please be in touch with both instructor email. Three absences will fail you for this course. Plagiarism is taken very seriously in this class, and any indication that a solution has been taken from an external source will be grounds for failure on that project. Plagiarism includes, but is not limited to, failure to indicate the source with quotation marks or footnotes where appropriate if any of the following are reproduced in the work submitted by a student: a phrase, unaccredited, written or musical; visual elements taken from templates or other sources; an unaccredited proof; specific language; an idea derived from the work, published or unpublished, of another person.